MOSCOW: Russian President Vladimir Putin and his Turkish counterpart Recep Tayyip Erdogan met for Syria talks in Moscow yesterday, with Turkey saying they would focus on Ankara’s so-called “security zone” in northern Syria. Russia and Turkey have agreed to coordinate ground operations in Syria following US President Donald Trump’s shock announcement last month about pulling 2,000 American troops out of Syria. The warm rhetoric came despite the fact that the two leaders are on opposite sides of the Syria conflict: Russia provides critical support to the Syrian government, while Turkey has backed rebel groups fighting President Bashar Al-Assad’s forces. Despite this, they have worked closely to find a political solution to the seven-year conflict. Turkey has welcomed Washington’s planned withdrawal from Syria but the future of US-backed Kurdish militia forces labelled terrorists by Ankara has upset ties between the NATO allies. Erdogan said Monday he would discuss with Putin the creation of a Turkish-controlled “security zone” in northern Syria, suggested by Trump. The US-allied Kurds, who control much of the north, have rejected the idea, fearing a Turkish offensive against territory under their control. Moscow, a long-term supporter of Assad, is likely to oppose the plan, with Russian Foreign Minister Sergei Lavrov last week saying Damascus must take control of the north. Nearly eight years into Syria’s deadly conflict, the US pullout has led to another key step in Assad’s Russian-backed drive to reassert control. Kurdish forces who were left exposed by Trump’s pledge to withdraw have asked the Syrian regime for help to face a threatened Turkish offensive. The Kremlin hailed the entry by Syrian forces into the key northern city of Manbij for the first time in six years after Kurds opened the gates. Moscow plans to organize a three-way summit with Turkey and Iran at the beginning of this year as part of the Astana peace process, launched by the three countries in 2017. 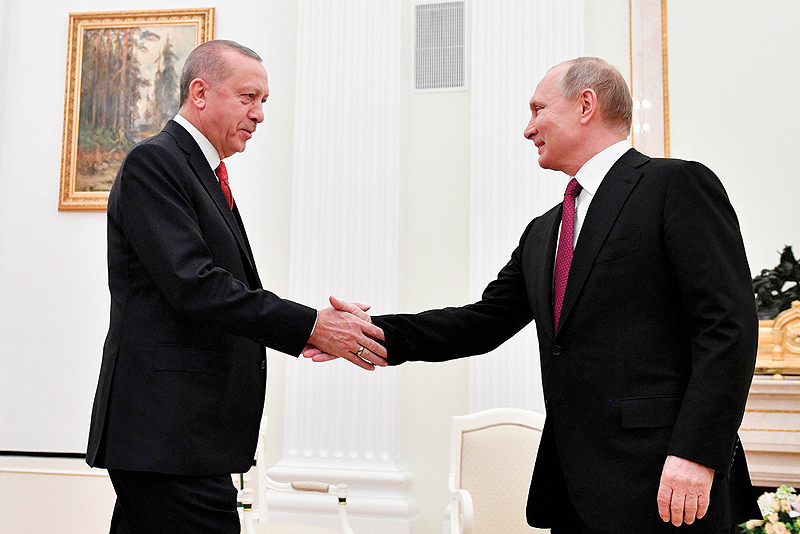 “So far, no date has been set but after negotiations with Erdogan, we will begin preparations for the trilateral summit,” Putin’s foreign policy aide Yury Ushakov told reporters last week. The last meeting between Putin, Erdogan and Iran’s Hassan Rouhani took place in Iran in September last year with the fate of rebel-held Idlib province dominating the agenda.